Octavia Estelle Butler, often referred to as the “grand dame of science fiction,” was born in Pasadena, California. She received an Associate of Arts degree in 1968 from Pasadena Community College, and also attended California State University in Los Angeles and the University of California, Los Angeles. During 1969 and 1970, she studied at the Screenwriter’s Guild Open Door Program and the Clarion Science Fiction Writers’ Workshop, where she took a class with Harlan Ellison (who later became her mentor), and which led to Butler selling her first science fiction stories. Butler’s first story, “Crossover,” was published in the 1971 Clarion anthology. 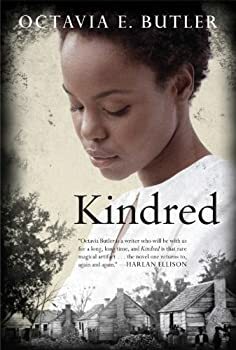 With the publication of Kindred in 1979, Butler was able to support herself writing full time. She has won the Hugo, Nebula, and Locus Awards. In 1995 Butler was awarded a prestigious MacArthur Foundation fellowship. CLICK HERE FOR MORE TITLES BY OCTAVIA BUTLER. The Patternist — (1976-1984) Note that the chronological order for the series is different than the order of publication. Doro is an entity who changes bodies like clothes, killing his hosts by reflex — or design. He fears no one — until he meets Anyanwu. Anyanwu is a shapeshifter who can absorb bullets and heal with a kiss… and savage anyone who threatens those she loves. She fears no one — until she meets Doro. From African jungles to the colonies of America, Doro and Anyanwu weave together a pattern of destiny that not even immortals can imagine. 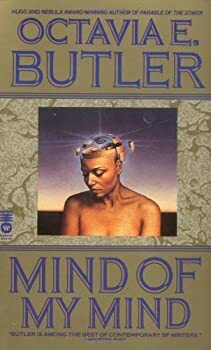 Mind of My Mind (1977) was written second in Octavia Butler’s 4-book PATTERNIST series, and comes second in chronology. However, I think it is less-polished than Wild Seed (1980), which comes earlier in chronology but was written later, after she had more fully developed her ideas about psionic powers, power/control, and telepaths vs. mutes. 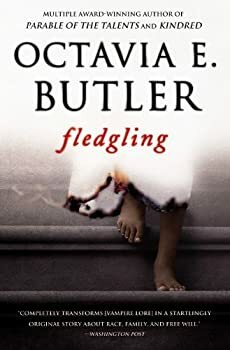 It’s tough to decide whether readers should approach this series in the order it was written, in order to see Butler’s development as a writer, or by internal chronology, to follow the PATTERNIST story at the expense of uneven writing style/quality. 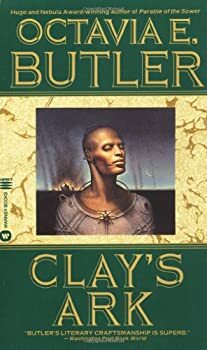 Clay’s Ark (1984) was written last in Octavia Butler’s 4-book PATTERNIST series, but comes third in chronology. It takes place after Wild Seed (1980) and Mind of My Mind (1977), in the post-apocalyptic California desert. Society has collapsed into armed enclaves, marauding ‘car families’, organ hunters, and isolated towns. It’s along the lines of Mad Max, with fuel sources depleted and social infrastructure nonexistent, violent death lurking at any moment, and little room for anything more than survival. 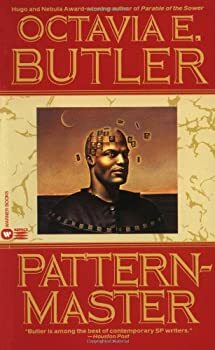 Patternmaster (1976) was written first in Octavia Butler’s PATTERNIST quartet, but comes last in chronology. It takes place several hundred years after Clay’s Ark (1984), back in the Forsythe, CA territory where the Patternists settled down earlier. Society remains scattered and non-industrial, and power is divided between the Patternists, a network of linked human telepaths who can kill at a distance, and the Clayarks, now completely transformed into intelligent, sphinx-like animals with extreme strength, speed, and agility but no special mental powers. The losers in this future world are the mutes, non-pyschic humans who are treated more like pets or servants by the Patternists. Xenogenesis — (1987-1989) Lilith lyapo awoke from a centuries-long sleep to find herself aboard the vast spaceship of the Oankali. Creatures covered in writhing tentacles, the Oankali had saved every surviving human from a dying, ruined Earth. They healed the planet, cured cancer, increased strength, and were now ready to help Lilith lead her people back to Earth — but for a price. 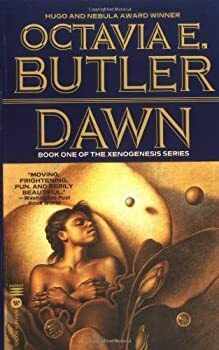 Adulthood Rites (1988) is the second book in Octavia Butler’s XENOGENESIS trilogy. It continues the story of Lilith in Dawn (1987), a human woman revived by the alien Oankali centuries after humanity has mostly destroyed itself with nuclear weapons. The Oankali offered humanity a second chance, but at a price — to merge its genes with the Oankali, who are ‘gene traders’ driven to continuously seek new species in the galaxy to combine their DNA with, transforming both sides in the process. Parable (Earthseed) — (1993-1998) Award-winning science fiction author Octavia Butler’s groundbreaking dystopian novel presents an all-too-real look at a world spiraling into chaos. Lauren Olamina and her family live in one of the only safe neighborhoods remaining on the outskirts of Los Angeles. Behind the walls of their defended enclave, Lauren’s father, a preacher, and a handful of other citizens try to salvage what remains of a culture that has been destroyed by drugs, war, and chronic shortages of water, gasoline, and more. While her father tries to lead people on the righteous path, Lauren struggles with hyperempathy, a condition that makes her extraordinarily sensitive to the pain of others. When fire destroys their compound, Lauren’s family is killed and she is forced out into a world that is facing apocalypse. With a handful of other refugees, Lauren must make her way north to safety, along the way conceiving a revolutionary idea that may mean salvation for all mankind. Multiple Nebula and Hugo Award–winning author Octavia Butler’s iconic novel is “a gripping tale of survival and a poignant account of growing up sane in a disintegrating world” (The New York Times Book Review). This ebook features an illustrated biography of Octavia E. Butler including rare images from the author’s estate. 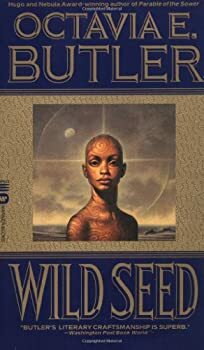 Parable of the Sower (1993) is the first book in Octavia Butler’s PARABLE (EARTHSEED) series. It is one of her most well-regarded novels, along with Kindred (1979) and Wild Seed (1980), and depicts a near-future United States that has collapsed due to environmental catastrophe into roving bands of thieves, drug addicts, rapists, murderers, scavengers, corporate towns that impose wage slavery, and gated communities protected by armed guards that strive to survive amidst the chaos. The late Octavia Butler wrote brilliant, challenging science fiction along more or less the same lines as Ursula K. Le Guin: the speculations are often anthropological, and she's fascinated by how people interact. I read one of her XENOGENESIS novels years ago and found it the kind of powerful, disturbing book that I can only read occasionally. 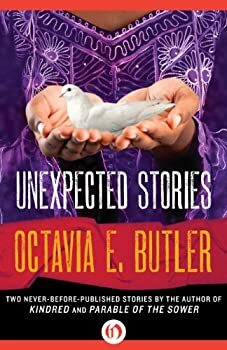 I was excited to hear that a couple of her unpublished stories had been found and published under the title Unexpected Stories.